Lee Eng Beng, SC is a Senior Partner of Rajah & Tann Singapore and the Chairperson of Rajah & Tann Asia, one of the largest legal networks in Southeast Asia. Eng Beng joined Rajah & Tann as a Partner in 1998. From 2003 to 2009, he was the Head of the firm’s Business Finance and Insolvency Practice (now known as the Restructuring & Insolvency Practice). He was appointed Senior Counsel in 2008 and assumed the position of Deputy Managing Partner in 2009, and Managing Partner from 2010 to 2019. 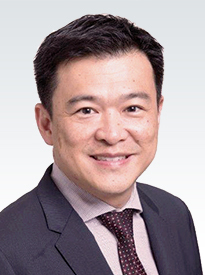 He has been recognised as a Band 1 leading commercial litigation and restructuring and insolvency lawyer in Chambers Asia Pacific (2019) and is described as “brilliant in clarity of thought, communicating position and breaking down of the opponent's case.” He is also ranked by The Legal 500 Asia Pacific (2019) as a leading lawyer and is described as “a leader in insolvency cases”. Eng Beng was formerly a Justices’ Law Clerk in the Supreme Court of Singapore and a Lecturer and Senior Adjunct Fellow in the National University of Singapore, teaching various subjects including insolvency law, securities regulation and company law. Eng Beng was awarded the Public Service Medal (Pingat Bakti Masyarakat) conferred by the President of Singapore in recognition of his contributions to MinLaw’s insolvency law reforms in 2014. He has an active practice in commercial litigation and arbitration, with emphasis on banking and financing disputes, debt enforcement and insolvency litigation, shareholders’ and joint venture disputes and general commercial disputes. He has appeared as appellate counsel in many landmark cases. He has also handled a wide range of insolvency and banking advisory work, and the debt restructuring of large businesses and public listed companies. He has published widely in the field of insolvency law and commercial law generally and his articles are often judicially cited in the Singapore courts.